Panorama crossing the Gyu La. Annapurna and Dhaulagiri in view. Click for full sized panorama. 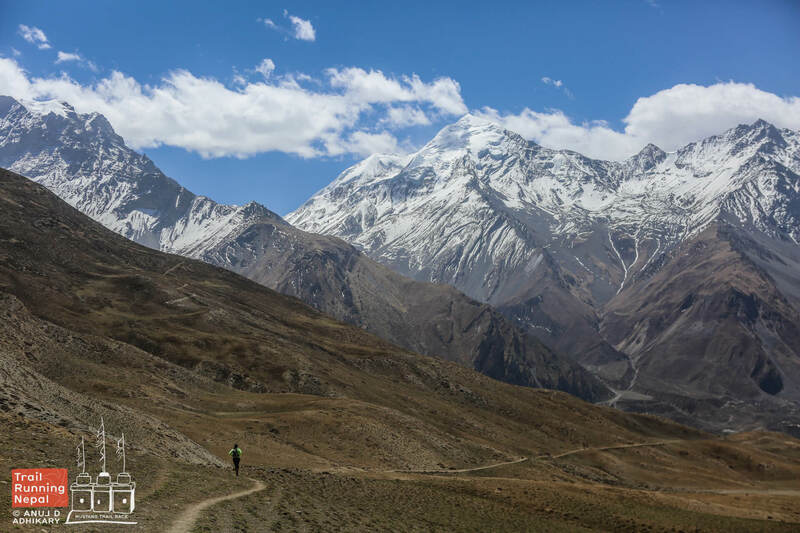 From Chuksang, there is a long steady climb to the Gyu La (4030m) through the amazing mud and wood village of Tangbe, and there is a stunning view waiting for you from the pass. 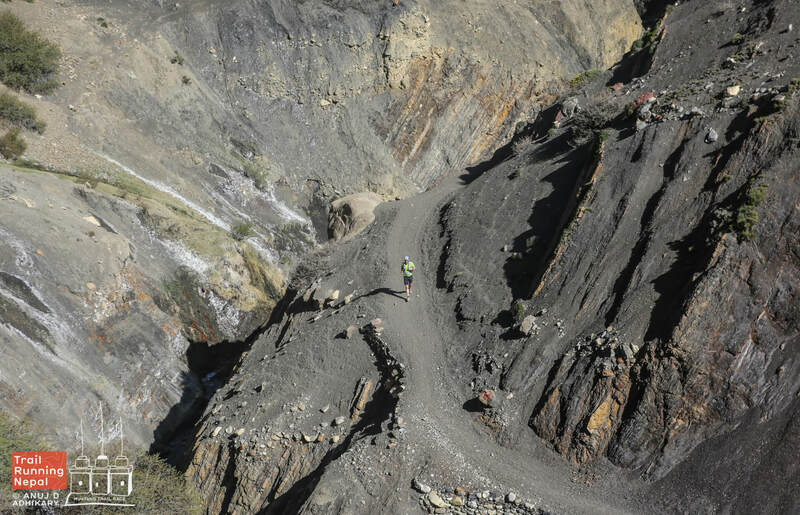 This is followed by a fast descent on good trails to Muktinath. A short-ish run but plenty of climb and hard work after this week of high-altitude effort. 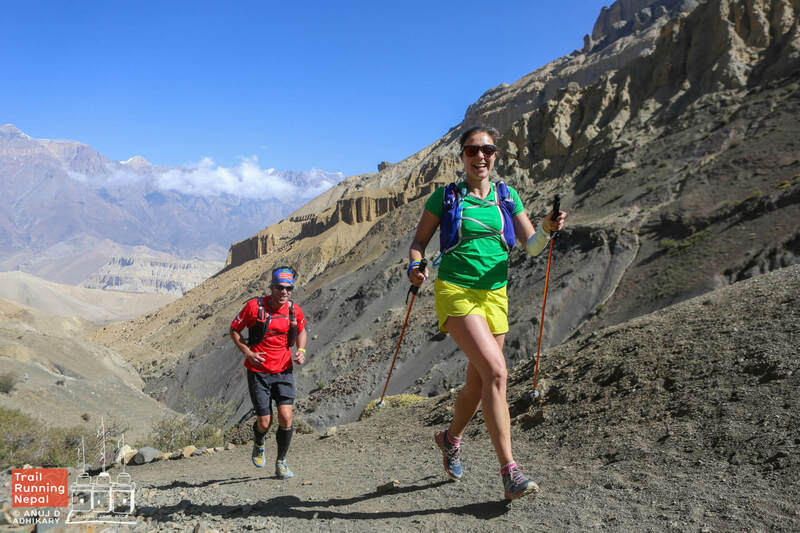 There is the option to complete a full loop by running to Jomsom (2-3 hours) or taking a shared taxi back to the hotel. So far, 90% of people have chosen the latter! Mustang (Nepal) : Lupra village from Tonio Nicolazzi on Vimeo. Stage Profile! 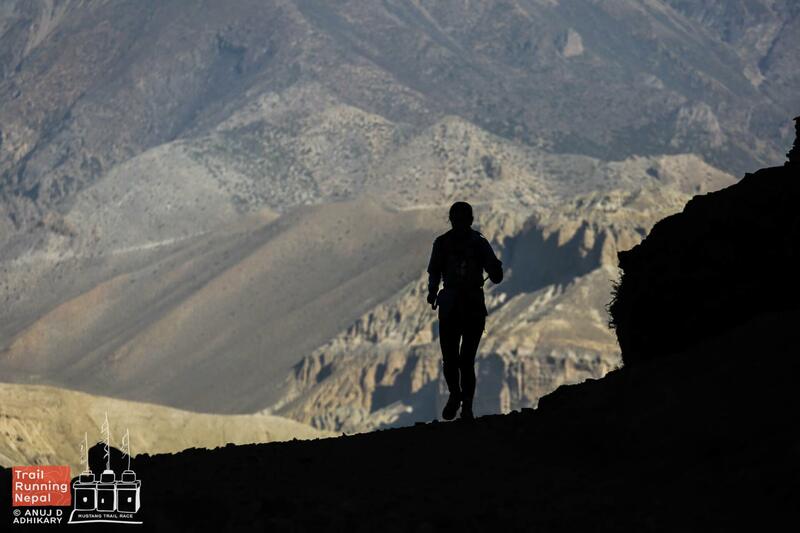 Not an easy day to finish on, but now you are acclimatised and strong, the first hill climb will seem easy for you. 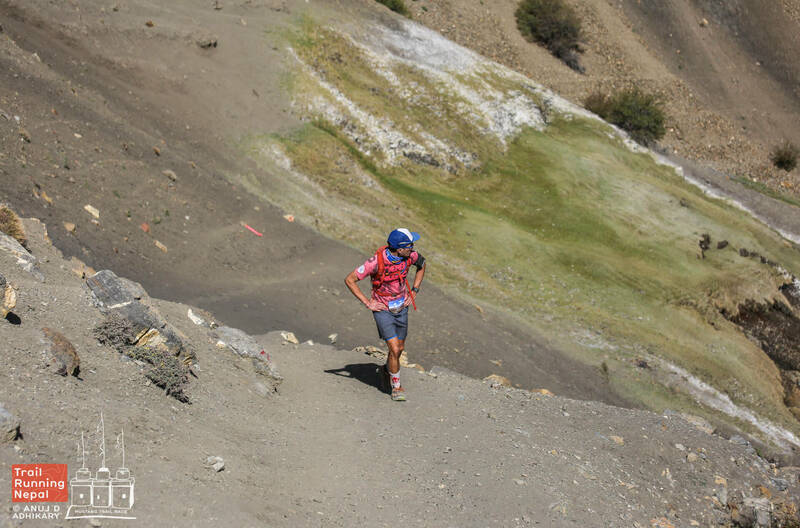 Harder will be the gentle downhill to the finish when full speed running is a possibility.